Yo yo! 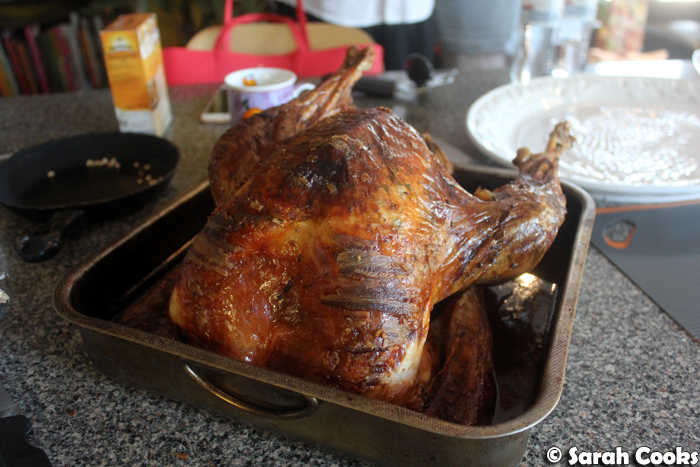 Time to blog about my Christmas dinner this year! This time it was an extra special dinner, as Sandra's parents are here visiting from Germany, and it was the first time both families have gotten together. It was a delicious dinner, with lots of laughs, love and many back-and-forth translations between both sets of parents. (Thank-you Sandra for the translating and generally being the best). 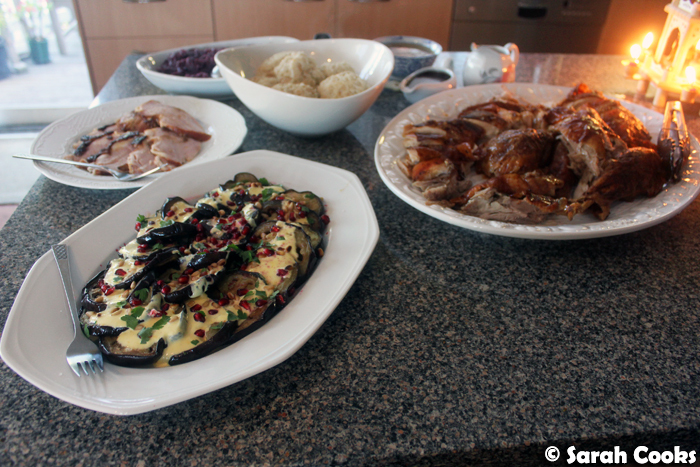 It was our standard Christmas menu, with a few little twists. Gordon Ramsay's roast turkey (buttered and bacon-blanketed) is non-negotiable for me, as is Nigella's Ultimate Christmas pudding with vanilla-bean custard. 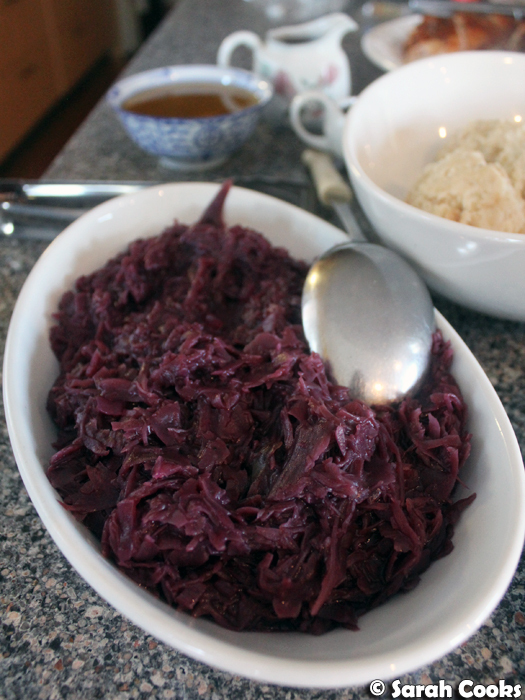 German red cabbage always features on our Christmas table. We added the leftover ham from our Christmas Eve dinner too. My mum is on a doctor-imposed low carb diet, so we skipped the usual goosefat roast potatoes, in favour of some vegetable sides. I could have gone ahead with the roast potatoes, but I feel it would have been quite the douche-move to serve one of my mum's favourite dishes when she can't eat them. 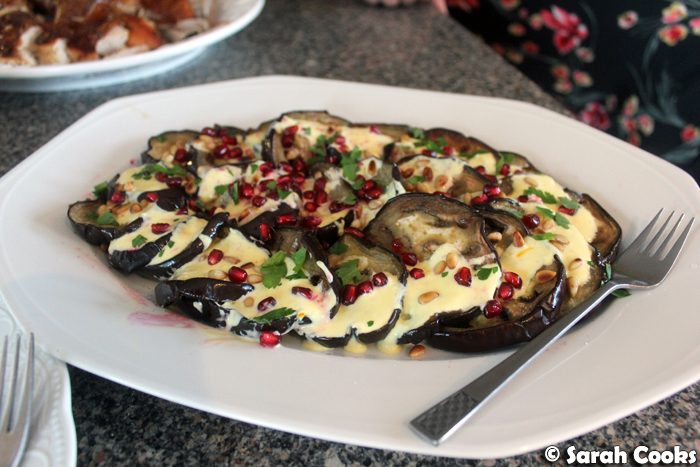 Ottolenghi's eggplant with saffron yogurt (from the original cookbook) is always a winner, and I feel the red pomegranate sprinkling is quite festive. Hilariously, I also made some honey-glazed carrots with haloumi... and in the hustle and bustle of the day, completely forgot to serve them and left them in the turned-off oven. Whoops! As you can see from the menu, we didn't go totally carb free - Sandra made bread dumplings (from scratch! ), because "Germans need carbs, Sarah". 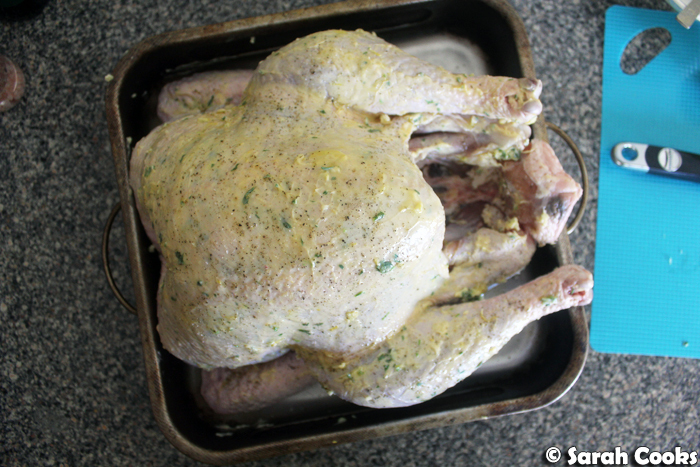 A 5.3kg beast of a bird from Rendina's Butchery. 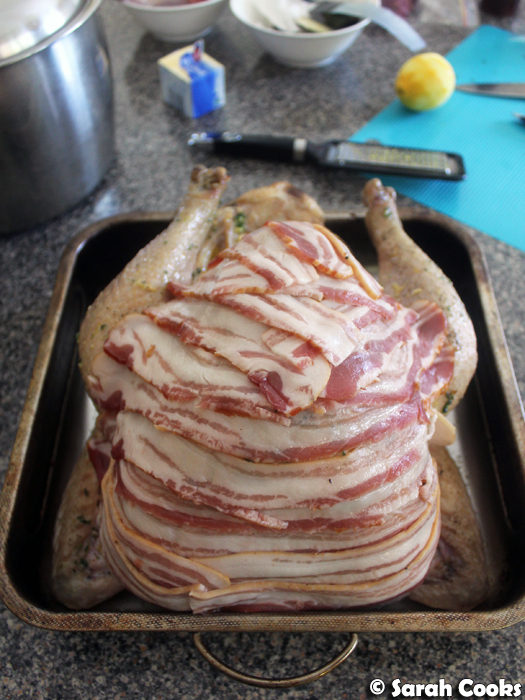 You can see my Christmas 2012 post for the recipe, but essentially what we're doing is spreading a flavoured butter mixture under the skin of the turkey, roasting for 15 minutes at 200C, then blanketing the breast in bacon and roasting at 180C for 30 minutes per kilo. 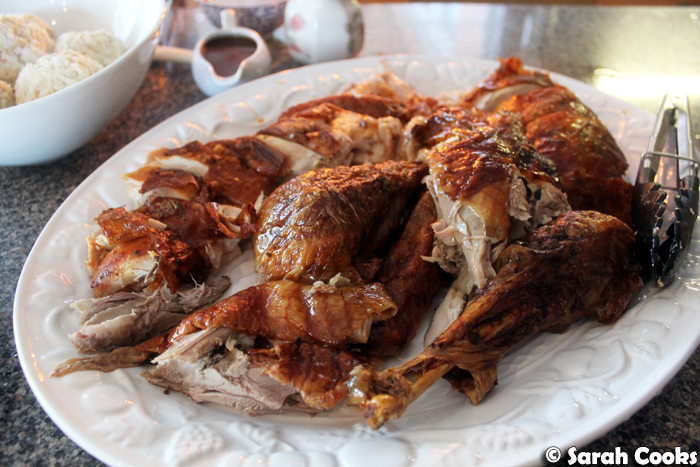 It makes a super succulent and flavourful roast turkey. Bacon blanket! I say this every year, but Peter Bouchier's dry-cured streaky bacon is really the best! So flavourful, such delicious. Here's the food. I can't believe I forgot the carrots! Looking at this photo, there was even a nice spot on the table where a dish of carrots would have fit perfectly. D'oh! Christmas pudding! 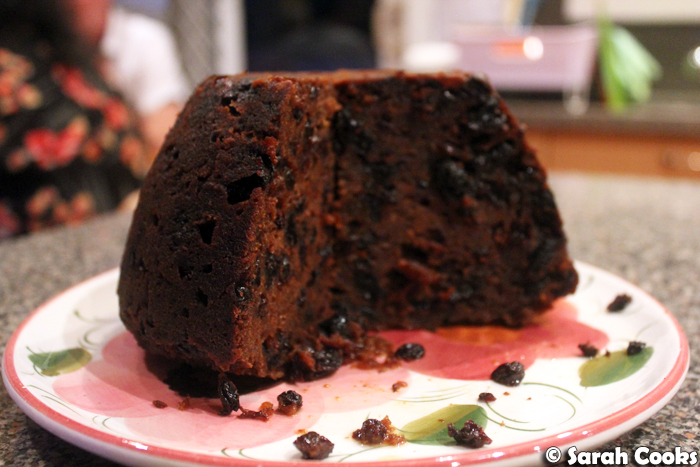 I love Nigella's Christmas pudding so much! 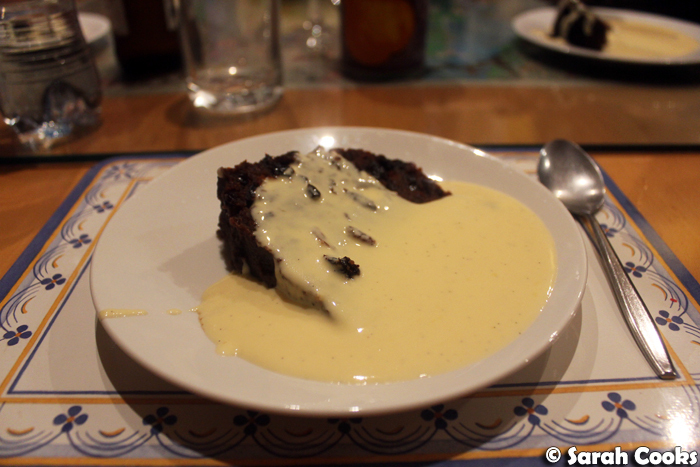 But it really makes a behemoth of a pudding and we only got through a third of it - next year I gotta buy a few smaller pudding basins and make separate ones. This looks like restaurant quality food, Sarah. I have to summon the nerve to make my own Christmas pudding. I don't know why but it just seems so hard and tricky to me - I guess because I grew up eating tinned ones! Can you please share one day how Sandra makes bread dumplings? Love them so much! Thanks so much Kat! Apologies for the incredibly slow response, lol. I'd definitely suggest giving Nigella's christmas pudding a go - it's not difficult, just a bit time consuming. And it taste so good! 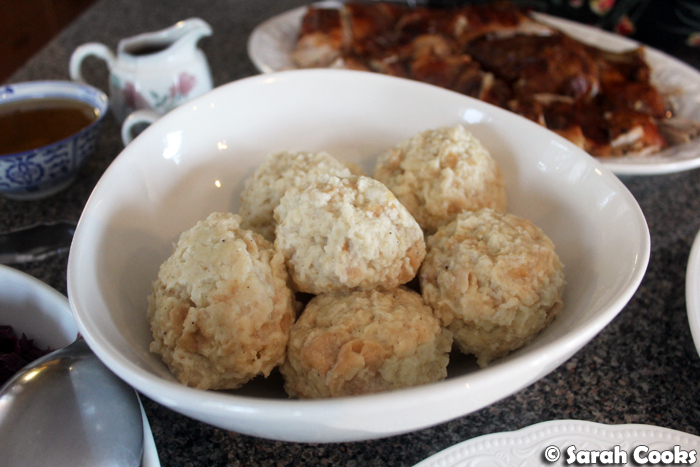 And that's a great idea to do a post on bread dumplings - putting it on the list!